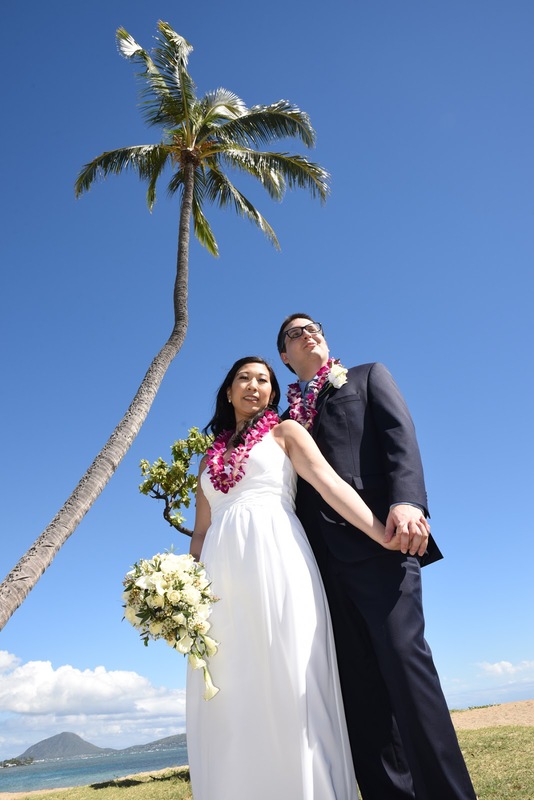 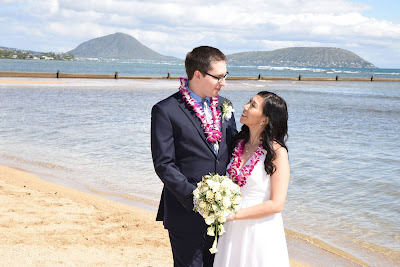 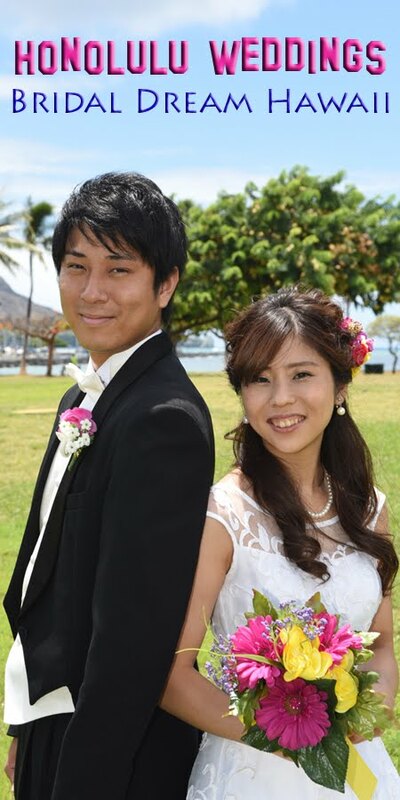 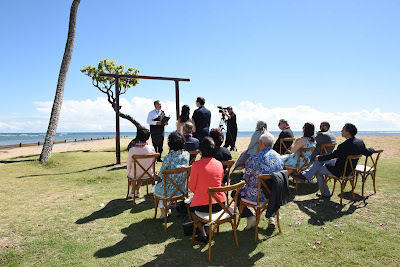 Jennie and Dave's Honolulu Wedding at Bridal Dream Hawaii. 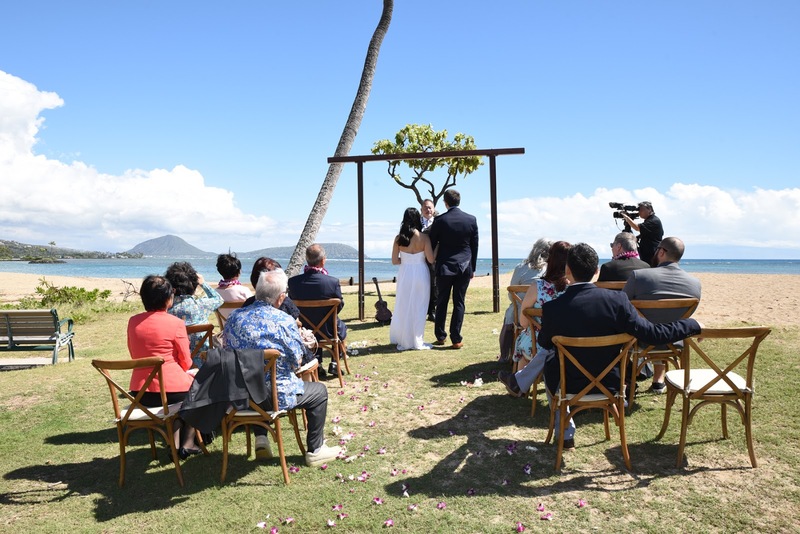 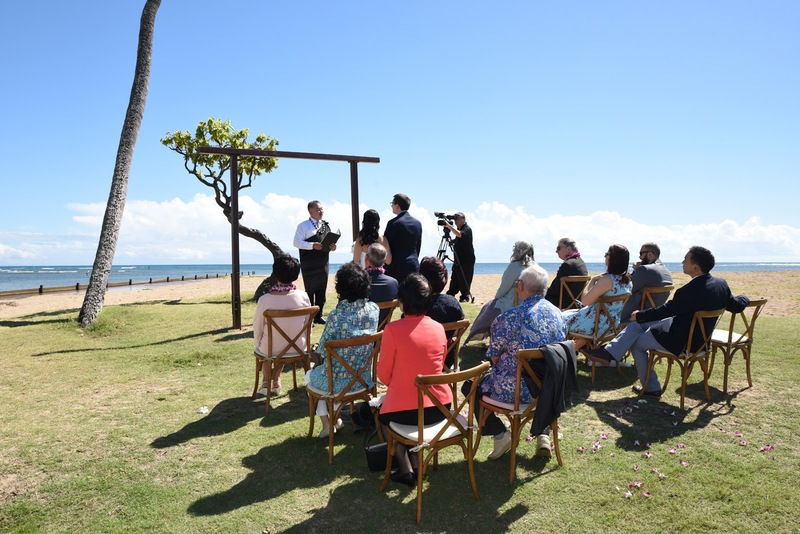 They order their own set of arch and chairs delivered to Waialae Beach Park. 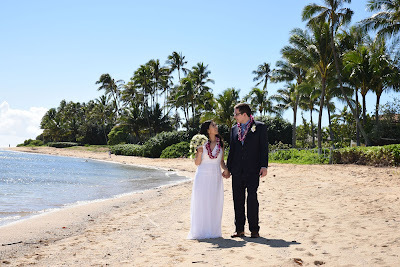 You are welcome to use your favorite vendor for your wedding set up.